Beer is a beverage containing an amount of alcohol. It is made using malt, yeast, hops and water. The malt used is usually grains of barley and wheat but corn and rice can be used as substitutes as well. Depending on the style of beer, spices, fruit or even herbs may also be used. Previously in the past beer was made using hops while ale was made without hops but that has since changed and the term beer broadly consists of ales as well as lagers. Lagers are alcoholic beverages that are brewed from yeasts at temperatures much colder at about 2 to 10C over a long period of time, usually months. There are various types of lagers including maerzen, bocks, doppelbock and pilsner, one of the most famous lagers. Pilsner was the first beer that was not cloudy, originating from the Czech Republic in the town of Pilsen. Beer is made through the process of fermentation, where grain starches are fermented. Malted barley is the most common grain used to brew beer. To give it its bitter taste, beer is flavored with hops which can also act as a natural preservative. Fruit flavoring may be used too depending on the market type and preferences. Over time, beer has become the most consumed alcoholic drink in the world, owing to the fact that it is relatively affordable and for seasoned drinkers, it would take a considerable amount to reach harmful effects, which is not the case with other alcoholic beverages like whiskies. Alcoholic strength of beer ranges from four to six percent by volume. Lager is a category of beer that is normally kept chilled for some months before being served for consumption. Lagers are very popular globally especially the pilsner and they make up the greatest percentage of the beer type that is consumed in the world. In later years, lagers are defined only relating to the method of fermentation but they have different characteristics. On average the world over, a lager is light in color and is often of the pilsner, helles or pale lager styles. These lighter lagers have a mild flavor and they are usually served refrigerated. Those with the most complex flavors are typically the darkest but compared to ales, lagers don’t feature strong hop flavoring. 1. Beer is a general term for a certain type of alcoholic beverage while lager is a type of beer. 2. Lagers are fermented for a longer period of time compared to other beer types such as ales. 3. Most lagers have simple and mild flavoring and are lighter in color compared to any other beer types. 4. Lagers make up the greatest volume of consumed alcohol unlike other beers. Kivumbi. "Difference Between Beer and Lager." DifferenceBetween.net. 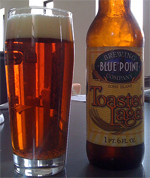 December 9, 2009 < http://www.differencebetween.net/object/difference-between-beer-and-lager/ >.